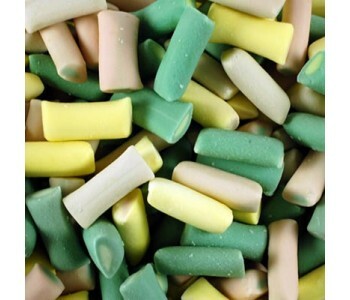 Haribo Rhubarb & Custard - 3 Kg Bulk Pack. This is a wholesale bulk pack of sweets which is supplied in the manufacturer's original packaging. The pack is sealed and labelled with product details, weight, ingredients and best before date. 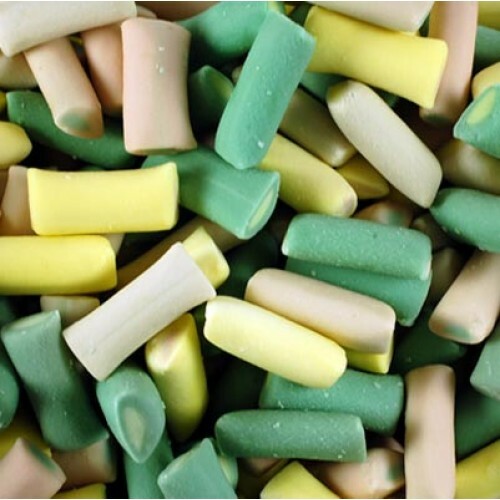 Haribo Rhubarb and Custard candy pieces really do taste of Rhubarb and Custard. Delicious sweets tha..
Haribo Rhubarb & Custard candy pieces in a BIG 1.3 Kg jar are completely Gluten free, Nut free, milk..